Are We Prepared to Assist Women Veterans Returning Home? 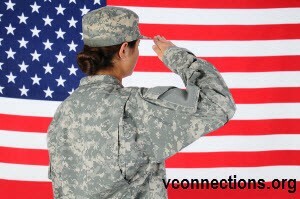 – VConnections, Inc.
Are We Prepared to Assist Women Veterans Returning Home? A report recently released Disabled American Veterans (DAV) indicates that women veterans feel left out of programs aimed at aiding veterans of recent conflicts. More women than ever before have served or are currently serving; nearly twice as many as in 1980, yet the report finds that many of the VA’s services lag behind in serving women veterans. Issues that need to be addressed include disability compensation, employment programs, housing assistance, sexual trauma, as well as several cultural changes. One of the most significant problems that female veterans face, which often goes overlooked, is health care. In the last year, according to the report, 20 percent of women veterans have gone without needed health care and 30 percent of VA medical centers don’t have gynecological providers on staff to meet the specific health care needs of women. And just as veteran servicemen, women veterans are more likely to face problems finding work after leaving the military; are more likely to become homeless, and about 20 percent of them have been victims of military sexual trauma will need counseling assistance and support. Because service women are also wives and mothers, and a high number of them are single mothers, they are unique in the issues that affect them and their families. 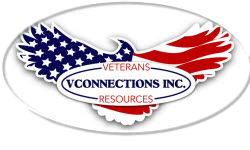 As VConnections continues to strive toward better serving our Southern Maryland veterans, we seek partnerships with VA, local healthcare organizations, and stakeholders to provide resources and assistance to our women veterans returning home. I believe partnerships to be key in addressing these issues. Southern Maryland let’s bring our resources together to provide the support, respect, consideration and care for the servicewomen and their families, whom have heroically served our country. If you would like to make a donation toward this effort to support our Southern Maryland veterans and their families, please contact me.